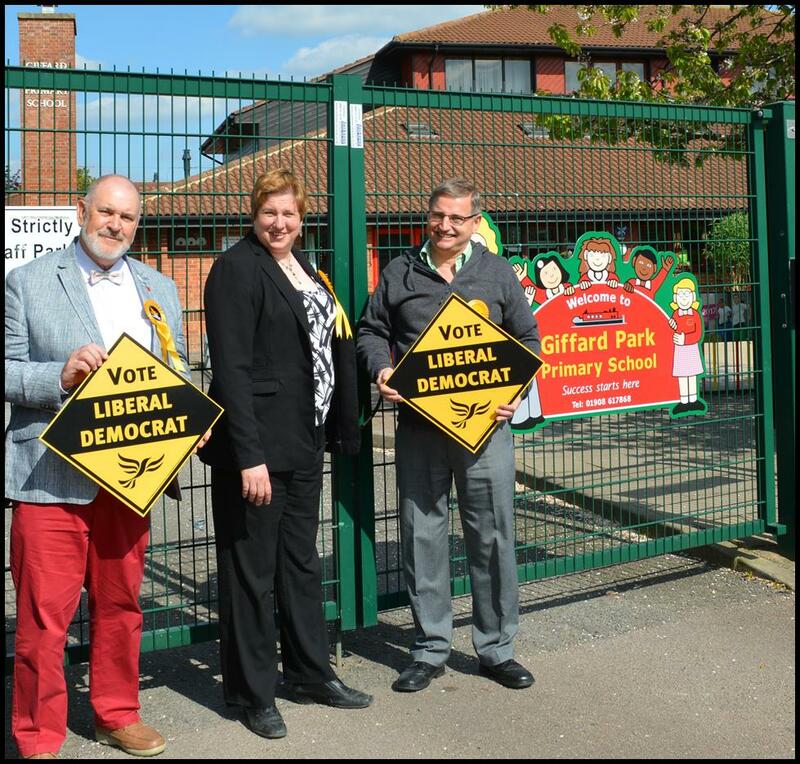 Imogen Shepherd-DuBey and Councillors Eastman and McCall outside Giffard Park Primary School. The Lib Dems believe that every young person should get the opportunity to achieve. Therefore, our education system must be properly funded. The Lib Dems were proud to introduce the Pupil Premium when we were in Government. It is our policy to protect school funding in real terms, from the early years right through to college. The Conservatives plan to cut £3M from MK schools budgets. 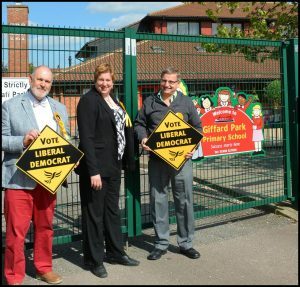 Lib Dems also strongly oppose the Government’s plans to open divisive new grammar schools which will disproportionately benefit children from wealthier backgrounds.